When I used to work full-time I was always looking for quick ways to get dinner on the table. If I made a complicated meal from scratch we would end up eating dinner way too late. So my solution was to come up with my own semi-homemade meals, and now that I am a stay-at-home mom these meals continue to come in handy! 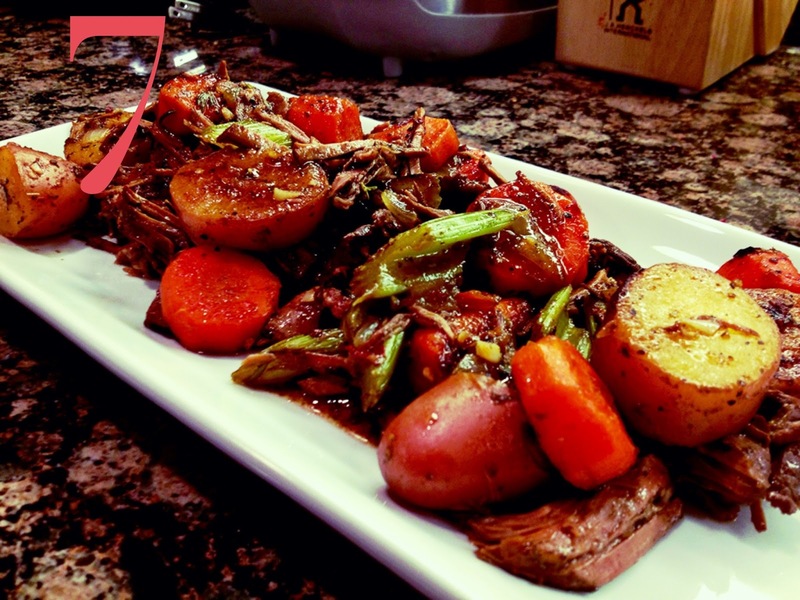 Below is my quick take on pot roast. 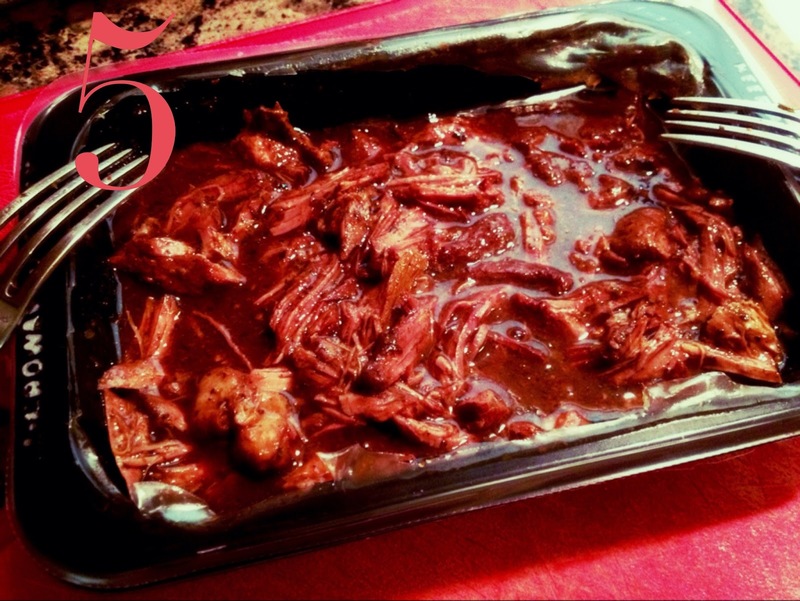 I am not a big meat and potatoes kinda girl, but this is not heavy on the meat so it works out! Chop your vegetables into big chunks. 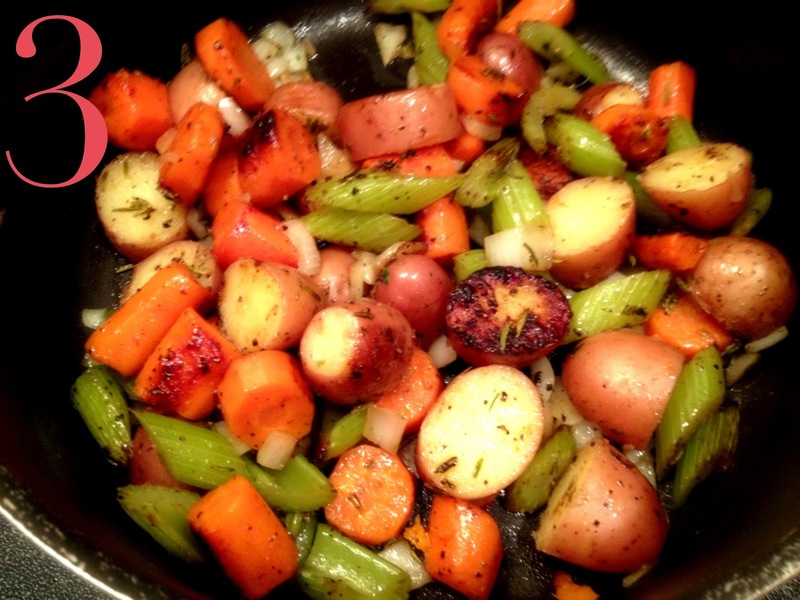 I used Mirepoix (carrots, celery & onion) and fingerling potatoes. 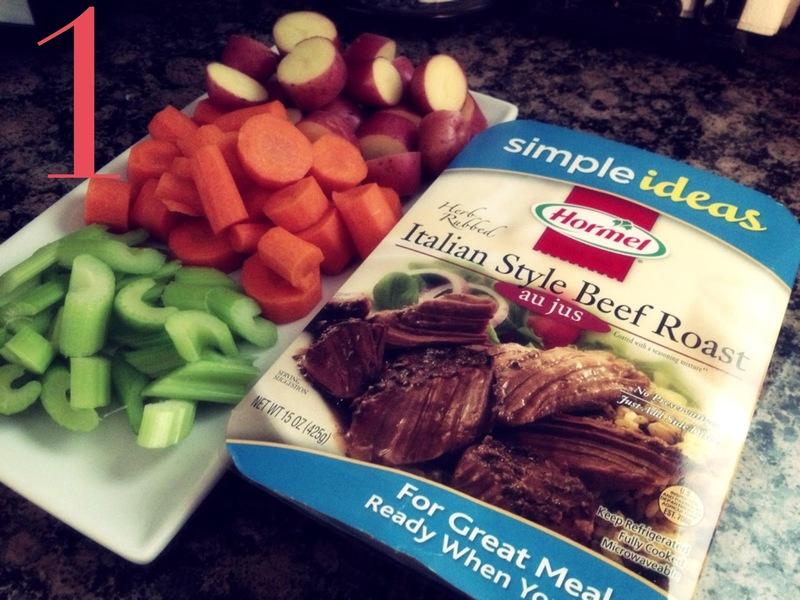 My favorite roast is this Hormel Italian Style Beef Roast. I found it at Target for $4.99. 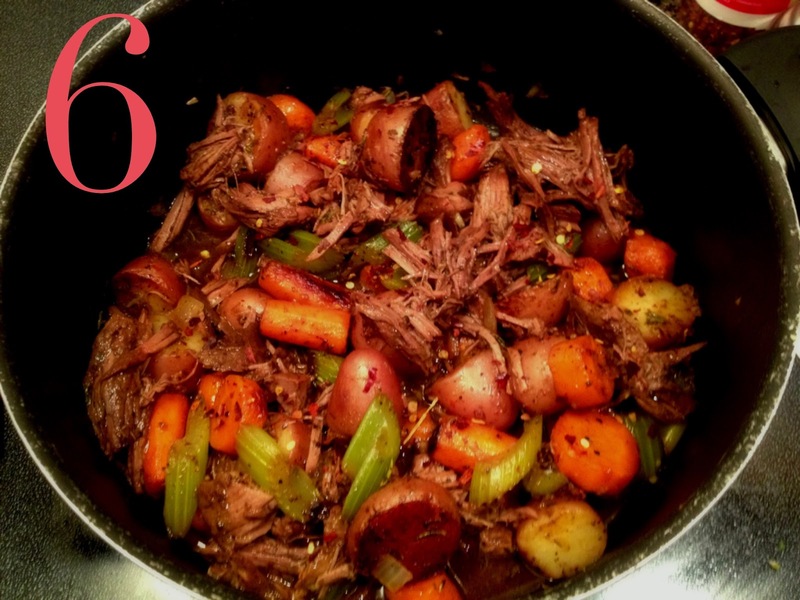 I use my rondeau pan on medium heat and pour in about 2 tbsp of olive oil then put in your carrots, celery and potatoes. Also, add your seasonings--salt & pepper to taste. I like a lot of pepper. Once the hearty vegetables are almost done (nicely brown/roasted) add your chopped onions (1/2 an onion). Also, some rosemary (I used fresh rosemary from our garden, but I am sure you can use dry) and lastly 1/2 teaspoon of chili flakes. We like our food a little spicy. 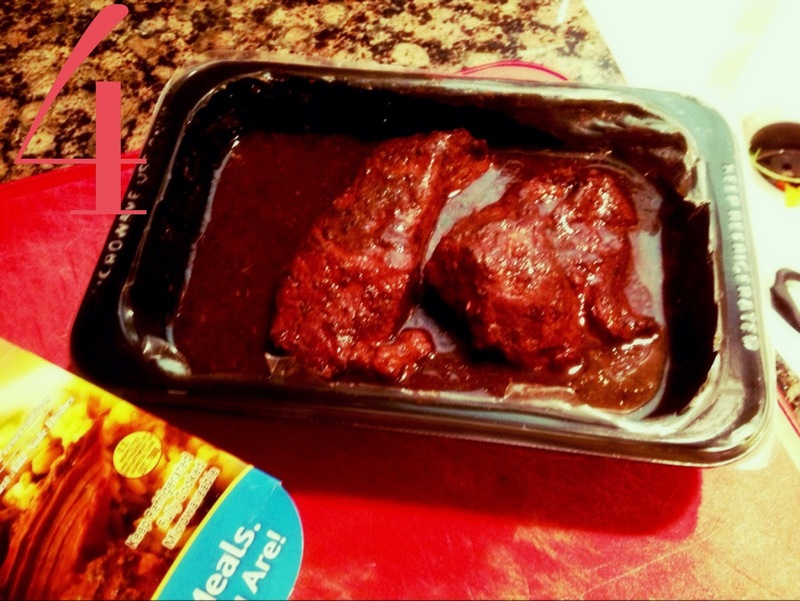 Microwave your roast for about 3 minutes only since you will be mixing into your pan. Then roughly shred the roast. 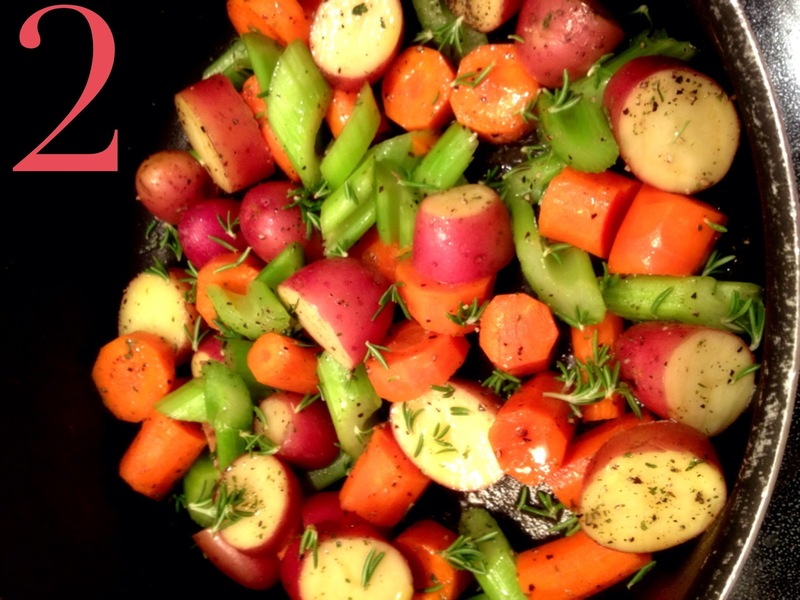 Next, pour the roast and its juice into your pan and mix with your vegetables, and let it simmer together for a few minutes. 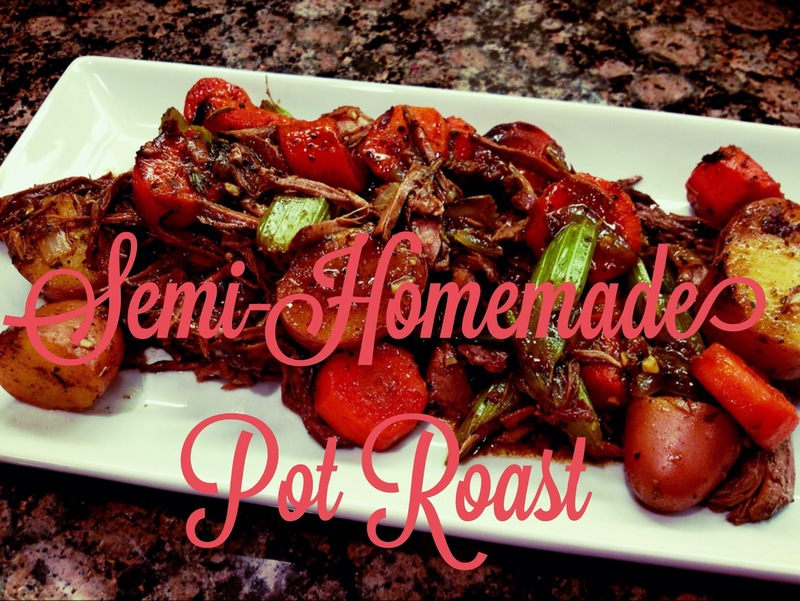 Now your delicious semi-homemade Pot Roast is ready to be served! I usually serve it on its own for my husband and I. Sometimes I mix it up and instead of adding potatoes to the actual roast I make mashed potatoes and serve them as a side dish. Surprisingly you can't really go wrong with this! I've even added asparagus as my green vegetable when I do not have celery. I am sure you could also serve it with corn or sweet potato! Yum!